It only takes a second for your baby’s beautifully soft and delicate skin to scald when in contact with water that is too hot. Bath time is a perfect way to help babies settle, but the trouble is that what feels the right water temperature for us adults can be far from the appropriate mark for babies. Rinnai makes sure baby’s bath water is exactly the right temperature each and every time, making bath time a safer and stress free experience for both parent and baby. 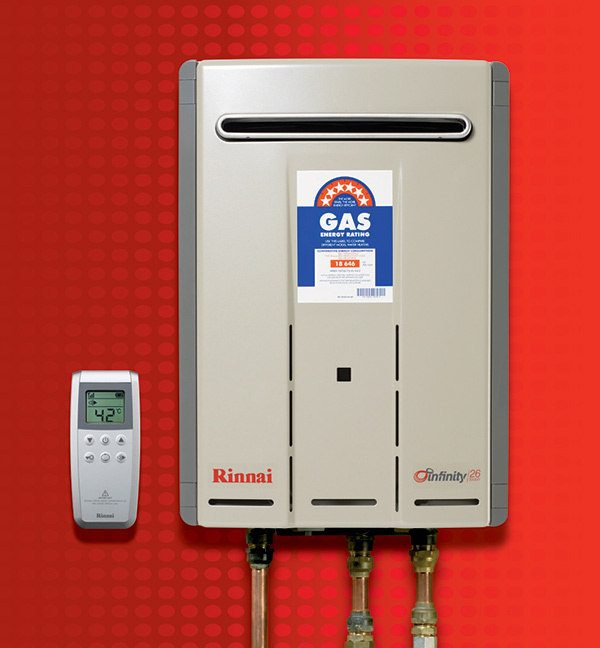 Rinnai takes care of all of your household hot water needs in one sleek unit, the new Rinnai Infinity 26 Touch. Parents need never fret over water temperature again because the Infinity 26 Touch continuous flow gas hot water system uses the latest wireless technology to set and control the the water temperature from anywhere within your home at the touch of a button. Having such control over your hot water system brings an end to mixing hot and cold water taps and there’s no more accidental scalds as you skip between a hot 60 degrees for grown-ups to a child-friendly 37 degrees, the water is delivered at its set temperature at each turn of the tap. The convenience of temperature accuracy means you can let all members of the family know the baby’s bath water temperature and get it right every single time, so no more excuses as it easily and effectively eliminates all guess work. If older children prefer a slightly warmer bath or shower, you can easily change the temperature for them too. I’ll even go as far as to encourage all parents to write out a temperature guide and attach it to the remote so no-one need worry how hot something should – or shouldn’t be – ever again! With the cost of living constantly on the rise, you might also care to know that the Rinnai Infinity 26 Touch hot water system won’t cost a fortune to run. An impressive 6.1 star energy efficiency rating leaves more money to spend on bubble bath and soft towels than gas bills! It’s compatible with low pressure shower heads, so you’ll use less water. It’s easier on the eye too, compared to traditional water heaters. This Infinity 26 Touch system has a super sleek look and build, sized a petite 53cm x 35cm and weighing just 16kg, you will barely notice it on your home’s exterior. The Rinnai Infinity 26 Touch hot water system is easy to install. All wireless technology and components are supplied with the unit and the wireless aspects mean no drilling or messy holes in your walls. The 12 year warranty on the Infinity 26 Touch system’s heat exchanger is one of the best warranties on the market. It even has a super handy water heater status operation monitor, helping technicians diagnose a problem in the unlikely event that something might be a miss. There’s a lot to be said for having a reliable household hot water system. Whether it’s mountains of washing in the laundry, a kitchen clean up or blissful bath time, it’s good to know Rinnai is on your side delivering your hot water just how you like it, when you need it. For more information on the Rinnai Infinity 26 Touch, head on over to the Rinnai Institute Of Comfort.